'Tis the season for all things pumpkin! I shared a pumpkin spiced latte recipe on my Instagram the other day which went down a storm, so I thought I'd share another pumpkin recipe that I'm obsessed with at the moment. 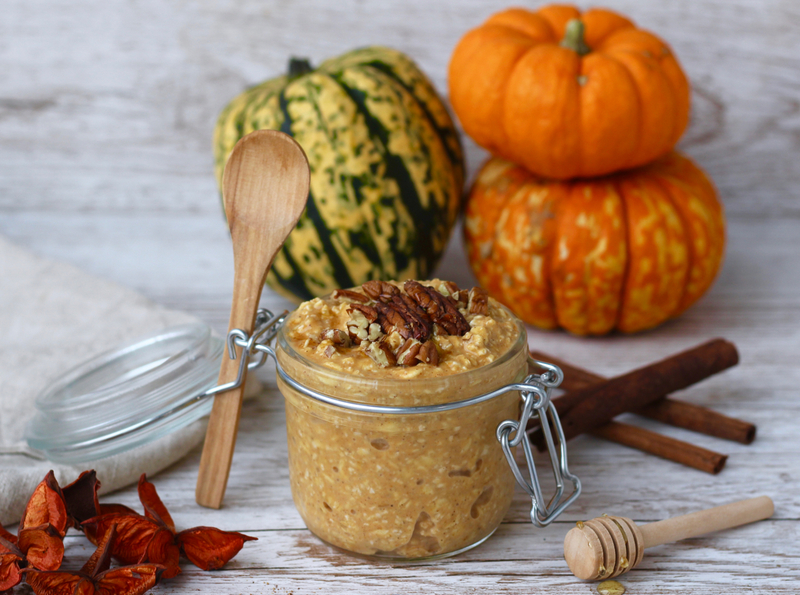 This pumpkin pie overnight oats recipe is my current go-to breakfast. It couldn't be more autumnal, it's completely delicious, super satisfying, easy to make and it makes a great breakfast when you know you're going to be in a rush. I love porridge but overnight oats can be made the day before and will be ready to go straight away in the morning, which means you get that precious extra time in bed! These overnights take all of 2 minutes to make then the magic happens overnight. 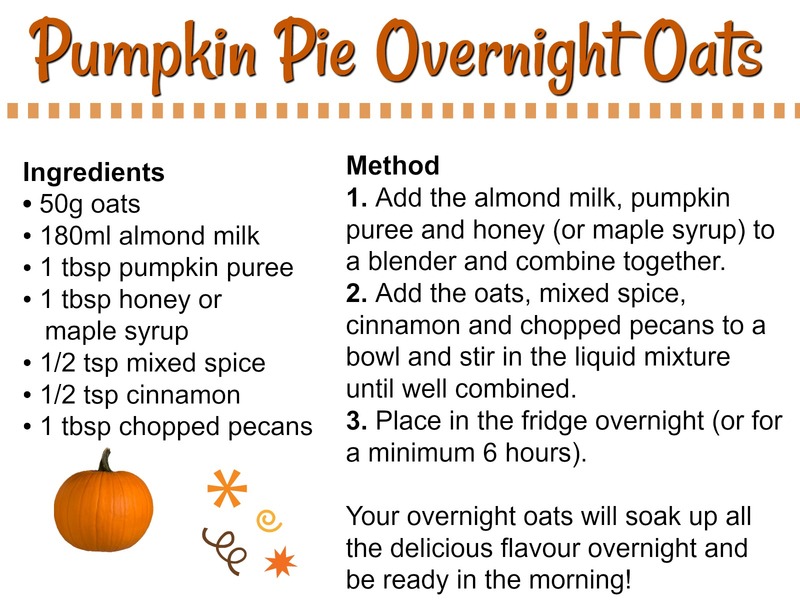 Leave the oats to soak in the delicious pumpkin spice mixture for a minimum of 6 hours in the fridge and in the morning you'll have the most delicious, creamy oats to enjoy. The oats also become much easier to digest this way and will leave you feeling so full of energy and ready for the day! If you have a little more time in the morning and prefer a warm breakfast, why not make this recipe into classic porridge? I've tried it myself and it's scrumptious either way!